What a nice design! BMW consistently seem to get the exterior design sorted out nicely for their new cars. The new 2010 BMW 3 series looks the business, yet again. And the engine plants are very smooth and punchy units, where some of the units boast some quite sensational fuel economy figures. Balanced handling starts from a well weighted chassis. In the BMW 3 series, the 50:50 weight distribution and active steering componentry provides an involving driving experience that glows of perfection. Many reviewers point to the BMW 3 series ability when it comes to the business end of quick driving. If you are someone who likes to drive with a weighted right foot from time to time, then the BMW 3 series will oblige. Nice interior design; comfortable, roomy seats and some nice luxury features make the stellar new 2010 BMW 3 series highly inspiring. The BMW 3 series has undergone several facelifts and design uplifts over the last couple of decades. The earliest E30 series took the small-medium sized car world to a new level. What set it apart was the nimbleness of handling. What was basically a small car body shell, a variety of engine sizes (which had some producing hefty power to weight ratios) and of course rear wheel drive, engaged the driver in what was a sprightly and enjoyable drive, particularly when pushed hard. Some of the early BMW 3 series models needed to be watched in the wet. The BMW has therefore evolved into a highly sought after vehicle – particularly in the BMW M3 guise. The BMW 3 series has always had the M3, which has always set the standard for other car makers to aim for, as its performance model. The latest BMW 3 series models are an incredibly satisfying drive. Once again, the choice available for prospective buyers is wide open, with engine sizes starting at 1.6 litres in size and extending out to the larger 6-cylinder motors. The sweet running 330i is a gem. 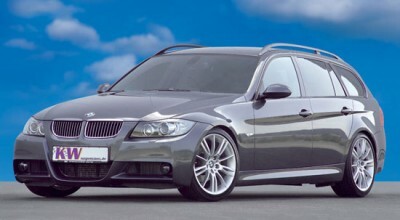 Again a benchmark car, the BMW 3 series is one of the best cars in the world. A diesel engine is available for those who enjoy the BMW 3 series excellence but also want the added bonus of potentially cheaper running costs. The 320d option is no slouch. It is still capable of 0-100 kmh in 8.9 seconds and has a whopping 320 Nm of torque to play with, making it possibly the most relaxing model. Speaking of diesel variants, there is a brand new 330d option soon to be released. Each model in the BMW 3 series range is classy and sleek, with the fresh new facelift design giving it a purposeful stance. Having a drag coefficient of 0.29 makes it slippery through the air, and a nice and quiet drive. No new vehicle in this day and age would cut the mustard if it were not safe. Needless to say, the BMW 3 series comes up trumps in this arena with the very latest in crash technology available. DataDot technology, ABS, dynamic brake control, cornering brake control, automatic stability control plus traction control – they all make the BMW 3 series very safe and stable. The cabin in each of the BMW 3 series is roomy, particularly in the front. And whether you buy the entry BMW 3 series model or the top of the line BMW 330i, every car has the feel of having a classy and extremely well crafted interior that gives very high levels of comfort. For any more information on the BMW 3-Series, or for that matter any other new car, contact one of our friendly consultants on 1300 303 181. If you’d like some fleet discount pricing (yes even for private buyers! ), we can submit vehicle quote requests out to our national network of BMW dealers and come back with pricing within 24 hours. Private Fleet – car buying made easy!